UPDATED Retail and Web services giant Amazon plans to add over 2,500 permanent jobs in the UK this year, taking its British workforce to nearly 28,000 people. The new roles will be in head office, R&D, Web services and operations, said the company. Earlier this year, Amazon announced the creation of 400 new jobs at its fulfilment centre in Rugby. The company said it has invested over £9.3 billion pounds ($12.5 billion) in its UK operations since 2010, but did not break down the figures. “We’re committed to the UK, we’re continuing to invest in the UK,” said Amazon’s UK manager, Doug Gurr, adding that Brexit is not a major concern for the company. “We’ll wait and see what happens and we’ll adapt as necessary,” he said. However, Gurr declined to comment on rumours that Amazon had made an unsuccessful attempt to buy upmarket British supermarket, Waitrose – part of the John Lewis group – last autumn. 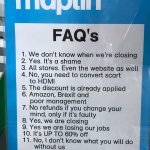 “Amazon, Brexit and poor management”: poster outside a Maplin branch. News of the new Amazon jobs broke on the same day as bricks and mortar department store chain House of Fraser announced that it was closing more than half of its branches in the UK, putting 6,000 jobs at risk. Marks & Spencer, Mothercare, New Look, and Carpetright have also revealed mass closures, while discount retailer Poundworld has appointed an administrator. Earlier this year, Maplin and Toys R Us collapsed, with Maplin blaming “Amazon, Brexit, and poor management”. By contrast, Amazon’s first-quarter 2018 revenues were $51 billion with profits of $1.6 billion. 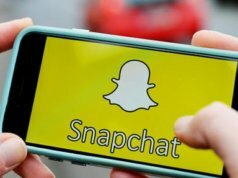 Net sales in its biggest market, the US, jumped by 46 percent, while international revenues jumped by over one-third (34 percent). In January, Visa reported that high street spending had fallen by four percent year on year, with eight of the preceding nine months exhibiting a fall. By contrast, online spending rose in January by 1.5 percent. Echo Look: An always-on fashion advisor? June has already been an eventful month for Amazon. Pre-orders for Amazon’s Echo device have opened in France, while the company has also launched its Echo Look ‘style assistant’ camera in the US. The Alexa-enabled camera can take a photo or video of the user’s outfit, which is then added to a virtual wardrobe/closet on the accompanying app. The Style Check feature compares outfits and expresses opinions using machine learning and – on request – input from human fashion experts employed by Amazon (see below). Significantly, the app also recommends matching items and accessories from Amazon, drawing the user into a deeper, ongoing relationship with the company – a technology analogous to the digital fitting rooms that are being adopted by some high street retailers. However, given the recent reports about Alexa devices always listening – and the apparent ease with which an Echo can be hacked – buyers may be nervous about a camera that may always be monitoring them, especially when they are changing their clothes. Internet of Business put this question to Amazon, which said, “We take privacy seriously, and designing Echo Look was no different. 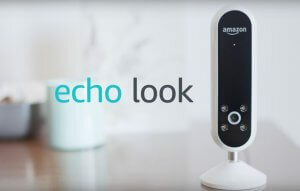 Echo Look has the same privacy features as other Echo devices, including on-device wake word processing to ensure audio streams to the AWS cloud only when the wake word is detected and a blue light ring to indicate streaming. “Echo Look’s camera only activates if you ask Alexa to take a photo or video, use the Echo Look app to take a photo or video, or use live preview. “Photos and video you capture with your Echo Look are securely stored in the AWS cloud and locally in the Echo Look app. Only you or others you have shared your account information with can view your Echo Look photos and videos unless you choose to share or submit them. Nevertheless, the recent report of a Seattle family’s Echo speaker recording a private conversation and emailing it to a contact of theirs revealed the basic security flaw in any device that is always listening for trigger commands. Misheard, similar words – a common occurrence, as any Echo owner knows – will activate the device. In the US, Amazon is updating Alexa to give it more natural conversational abilities, without needing the ‘Alexa’ trigger for follow-up questions. The risk of an Echo Look being triggered during normal conversation between human beings, therefore, would appear to be significant. Amazon is also reported to be considering offering home insurance services. The thinking is that its home security devices could allow Amazon to lower premiums and undercut other insurers on the back of smart-home gadget sales. Sound-recognition AI startup Audio Analytic believes that Amazon could make a go of smart insurance services. “For a company like Amazon, integrating its range of existing smart home security offerings – particularly Ring doorbells, Cloud Cam and Blink security cameras – with home insurance plans, could be seen as a natural evolution of its plans,” VP Neil Cooper told Internet of Business. “We estimate that over two million video doorbells will be sold globally this year, along with around 12 million cameras. Both markets are growing and will grow for the years to come, but the number of customers with these devices is still relatively low. The key that unlocks this market for Amazon could be the 31 million potential home security assets it already has deployed: its Alexa-enabled Echo devices. The concept – and Audio Analytic’s apparent support for it – may also be linked to Amazon’s rumoured plans for an Alexa-powered ‘Vesta’ domestic robot. Concept models are thought to be being tested in employees’ homes this year, for potential release in 2019, or later. According to The Information, the robots include onboard cameras and sensors that can detect smoke, carbon monoxide, excess heat, and loud noises, and so could act as home security devices. In related news, robots in one Amazon fulfilment centre were recently foiled by a spillage of popcorn butter, according to Tye Brady, chief technologist at Amazon Robotics, speaking in this video, and were apparently unable to navigate safely around it, or through it. Warren Buffett recently observed that you don’t want to give Jeff Bezos a seven-year head start in any market. 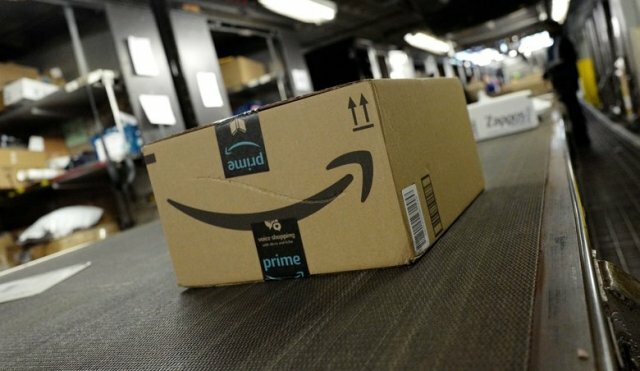 It is becoming increasingly clear that Amazon has that head start in digitising many areas, and is becoming all things to all people: a hyper-company that sells linked products and services across every aspect of people’s lives, with insurance, smart healthcare, security, fashion, original content, deliveries, and more, all joining the throng. Amazon has become the long tail that is wagging the old, exhausted dog of the retail sector, and it is hard to see how some traditional players can compete with the ambition and scope of the world’s second most valuable company. Amazon is booming as high street and main street shops lie empty – not simple cause and effect, but related occurrences nonetheless. Sourcing costs and rents are increasing for many bricks and mortar retailers in Brexit UK, while consumer spending is falling. Meanwhile, many shoppers now prefer the convenience of mobile and online shopping, but also expect physical retailers to have a strong foothold in the omnichannel world, so they can mix offline and digital channels. Rising inflation and low wage growth are further contributing factors to bricks and mortar retail’s decline. However, there is a lurking sense that Amazon may be overreaching itself and losing focus on who its core customers are. The recent controversy over sales to US police forces of Amazon’s real-time facial recognition technology, Rekognition, has made privacy and citizens’ rights groups – and some US politicians – uncomfortable, especially when set alongside the networked neighbourhood security elements of its Ring acquisition. What next for the company, some might be thinking: Amazon-branded police looking after clients’ homes and streets? That’s not such a far-fetched idea. The launch in the UK of companies such as My Local Bobby – a private, uniformed police service for wealthy home owners – may persuade Bezos that this is yet another growth market (alongside the Echo Look’s style police, perhaps). 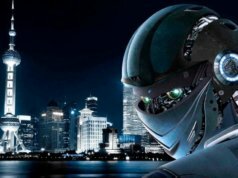 And while the arrival of an Amazon robot in the home seems inevitable – monitoring security and safety, managing music and media, switching the lights and heating on or off, appraising outfits, booking holidays, reading the news to owners and bedtime stories to kids – any robot that is constantly linked to a single retailer risks being overkill. That said, Amazon’s ability to regard its hardware as a loss leader for loyalty to its retail services could finally unlock the mass market for domestic robots – a sector long held back by the high cost and limited functionality/app availability of many robots. However, such as robot would also be a massive target for hackers. 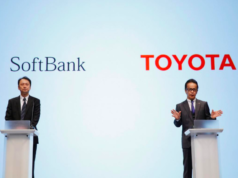 The lack of basic security functions in one of the world’s most popular humanoid robots, SoftBank’s Pepper, recently alarmed researchers (SoftBank’s popular NAO machines almost certainly share the same vulnerabilities, as our report revealed). 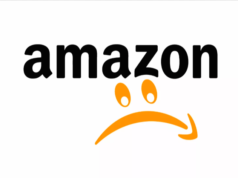 As for Amazon’s critics, Bezos would say that he is merely spreading the benefits of his retail and Web services platforms to all of the manufacturers, outlets, and service providers that sell through it. And he would be right; after all, we are all used to making informed choices about technology providers and their ecosystems, whether it is Apple/iOs or Google/Android, along with Netflix, Spotify, et al. 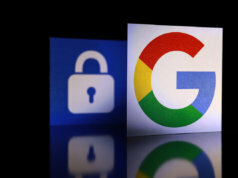 However, transparency and market competition will be under close scrutiny to see why one product or service is preferred by Alexa/Vesta, rather than another, and the extent to which customer data is being kept safe. 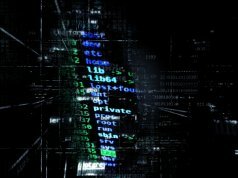 Internet of Business recently reported findings from the Consumers Association that what it calls “corporate surveillance” via Internet of Things and smart-home devices has reached “staggering” levels, with one smart TV found to be sending customer data to 700 different IP addresses in a matter of minutes. Meanwhile, are Amazon’s fashion advisors offering impartial advice to Echo Look owners, or merely incentivised to sell them more product? 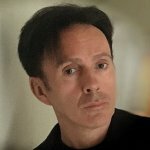 Which voices to trust: a very 21st Century problem.